Huddersfield VegMan Characters | Mair Perkins Ltd.
Huddersfield Veg Man specialise in the delivery of mixed boxes of fresh fruit, vegetables and salad across Huddersfield, Wakefield, Halifax and the surrounding areas! 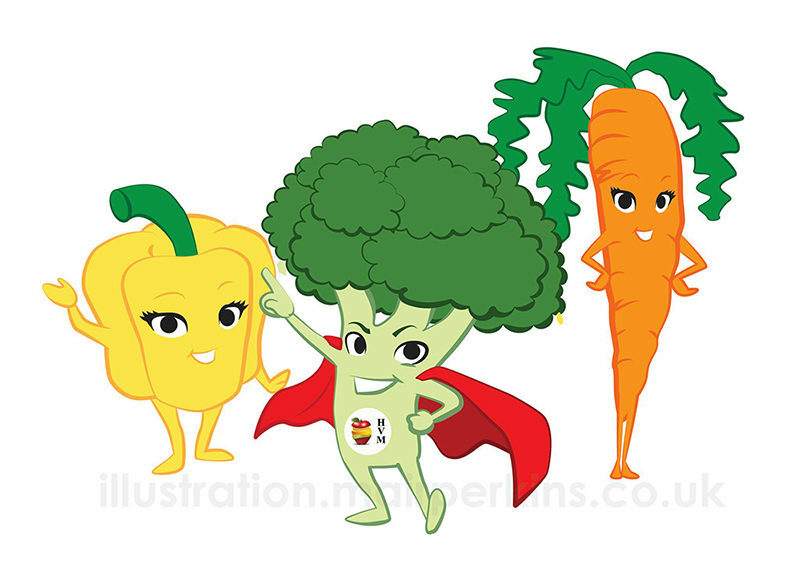 They hired me to illustrate cartoon veg characters for the kid's corner of their website. The pepper, broccoli and carrot characters. Drawn in Adobe Illustrator and supplied as vectors so the client can scale them to any size without image loss. 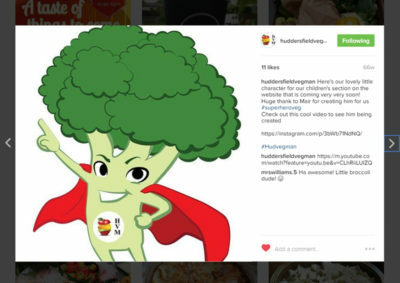 The characters used on the Huddersfield Veg Man Instagram. 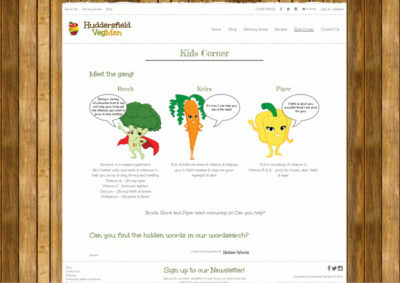 The characters in the kid's corner on the Huddersfield Veg Man website. Here’s a timelapse video of me drawing the broccoli character in Adobe Illustrator. I was listening to the radio while it was recording but thought the resulting sound was too funny to mute.